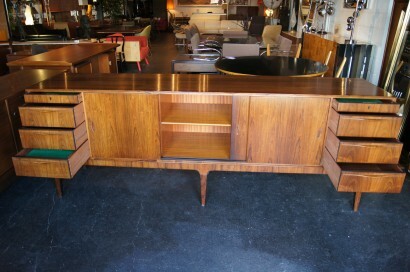 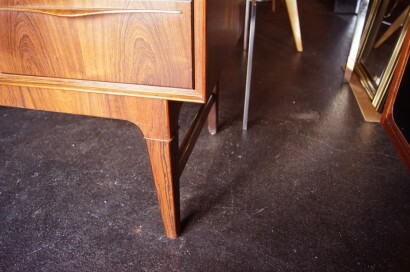 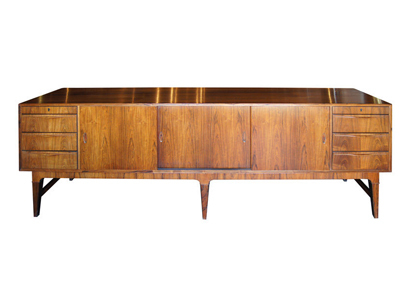 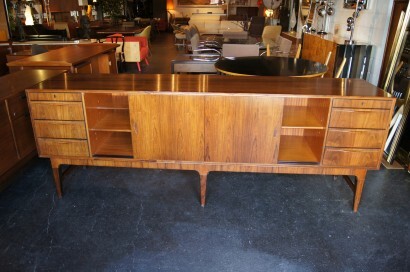 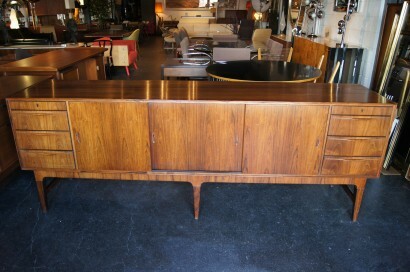 This large Danish sideboard features six drawers and plentiful interior shelving. 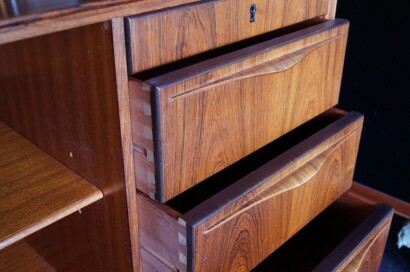 Its stunning rosewood grain and elegant drawer pulls make this functional piece stand out in any room. 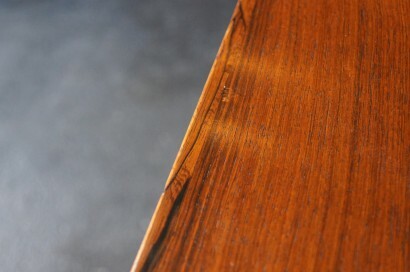 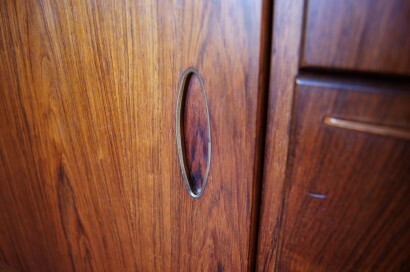 Excellent, one very slight unnoticeable dent on the top, see picture #6.